Dancemaster Federico has been teaching and performing argentine tango in the UK since 1994. He pioneered this art form in London and started what has now become a thriving and vibrant dance scene nationwide. 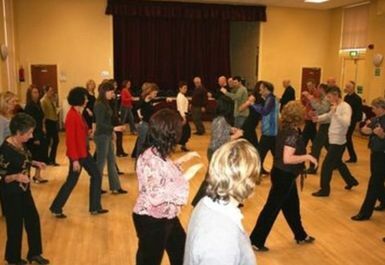 A practica is a place where you can practice your tango in an informal atmosphere and socialise with other students and teachers. We play a fabulous mix of tangos, milongas and valses, both traditional and very modern and we also have soft drinks, wine and beer available for you. We work very hard to cultivate a friendly and relaxed atmosphere without 'rules' and we are happy to see that everyone gets a chance to dance - all our more experienced students and teachers will dance with new students and ladies are always welcome to invite gentlemen to dance! Nearest tube station is Covent Garden.